Take advantage of the 88inch interactive whiteboard which will bring your presentations to life. Successor of previous StarBoard models, the FX-TRIO-88W allows you the opportunity to have three people to work simultaneously on its widescreen surface. 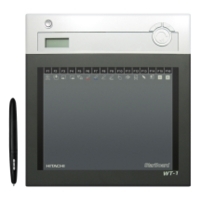 Discover all enhanced features of FX-TRIO and capture your audience’s attention with effective visual-based materials. Up to three users can operate the board simultaneously and work in a team on the same task. The wide surface of the board gives more space for comfortable group work. All operations on the board can be performed with a finger, stylus pen or an electronic pen, depending on your preference. Operate the board by using hand gestures to zoom or scroll the pages and images. 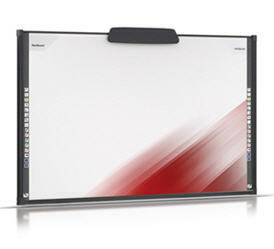 The widescreen surface of the board provides an additional working space and contributes to comfortable group work. It works with existing wide-format technologies and contents without distortion and creates high-impact lessons and presentations. Google™ image integration: Drag and drop images instantly into StarBoard software. Customizable interface: Customize your toolbar and screen layout to suit your needs. Handwriting recognition: Instantly convert freehand notes into text with the text pen. Customizable search engines: Add up to 4 search engines directly into the software.